Michele and I rented a apartment in Rome for two weeks. 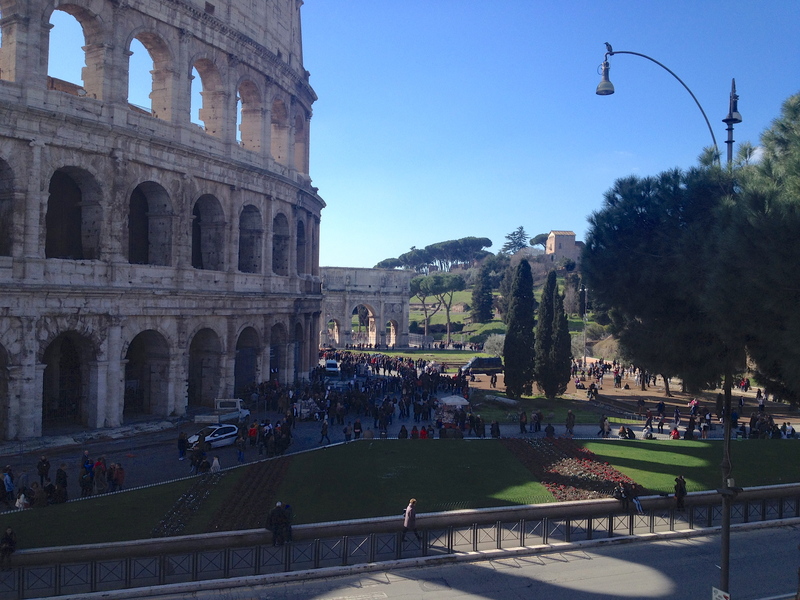 It is in the Monti area which is very close to the Colosseum and the Forum. 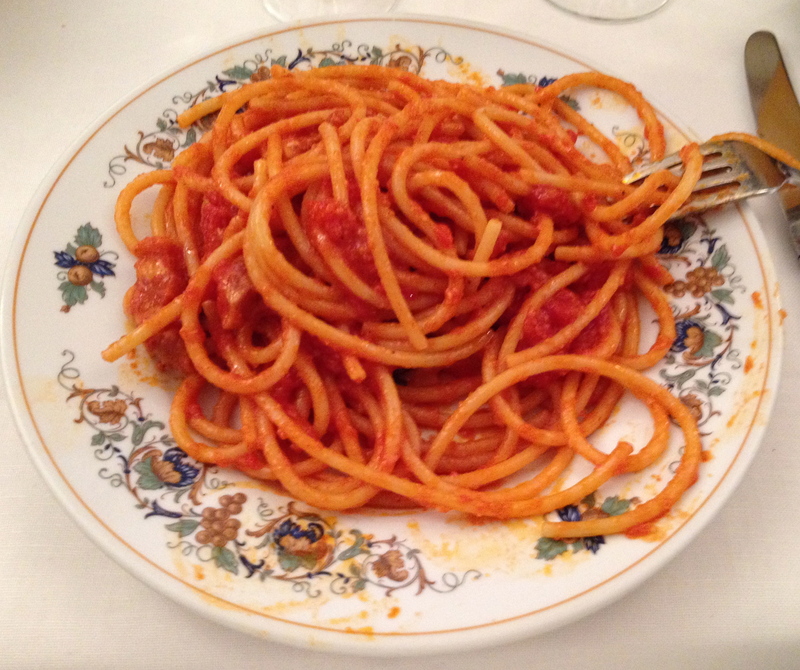 As I have said many times before I love the food in Rome. This time we went back to some of our old favorite restaurants all of which are family run. 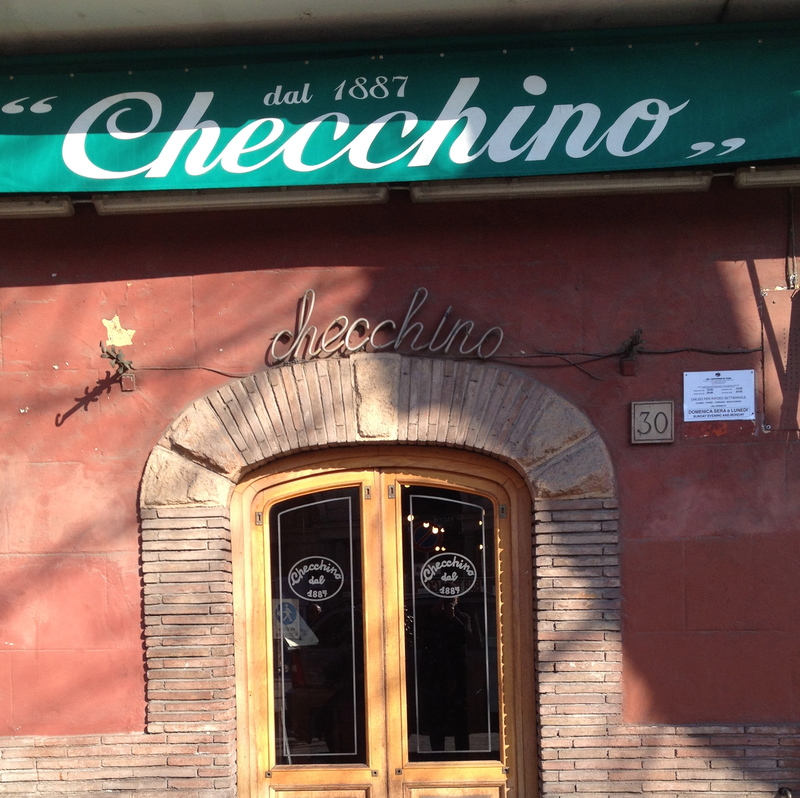 Checchino dal 1887 (www.checchino1887.com, Via di Monte 31 Testaccio). The Mariani Family has owned the restaurant since it opened in 1887. Francesco Mariani takes care of the front of the house while his brother Elio is in the kitchen. Considering the wine and the food, it is the best restaurant in Rome with over six hundred wines from Italy and all over the world. The wine cellar is dug into Monte Testaccio, a hill made from broken amphorae which date back to Ancient Rome. The slaughter houses of Rome used to be located here and the restaurant still specializes in the so called quinto quarto, the fifth quarter, or innards and other spare parts. I always have long conversations with Francesco about Italian wine and which one I should order with what I am eating. Francesco recommended a bottle of white to start. 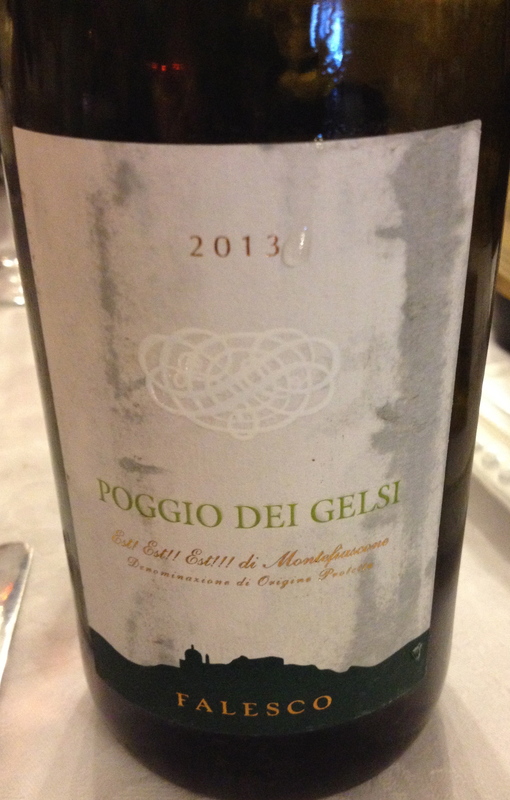 Est, Est, Est di Montefiascone, Poggio Dei Gelsi 2013 Falesco Made from 50% Trebbiano, 30% Malvasia and 20% Roscetto. Riccardo Cotarella and his brother Renzo, the winemaker for Antinori, own the winery. There is soft pressing of the grape-clusters. Vinification is in temperature controlled stainless steel tanks with selected indigenous yeasts. There is no skin contact and malolactic fermentation does not take place. Ciromaceration is used for the Roscello grapes. The wine is bottled early to keep its characteristic freshness and taste and it is aged in the bottle. This is an easy to drink wine with floral hints, fruity notes and good acidity. Three great Bordeaux blends are produced within a short distance from Rome: Torre Ercolano, Colle Picchione and Fiorano. Older vintages of Torre Ercolano and Fiorano Rosso (made by the old Principe who stopped making wine in 1995) are no longer available. Two versions of Fiorano are now made by the old prince’s descendants, his cousin Principe Alessandro Jacopo Boncompagni Ludovisi, and another by his granddaughter, Alessia Antinori. I asked Francesco if they had any older vintages of Colle Picchione. He said he would look and came back with a 1983. 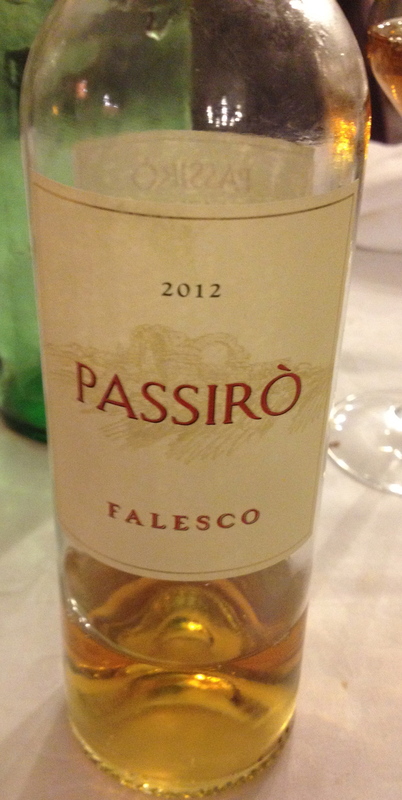 This was the last vintage before they singled out “Vigna dal Vassallo” as a cru. 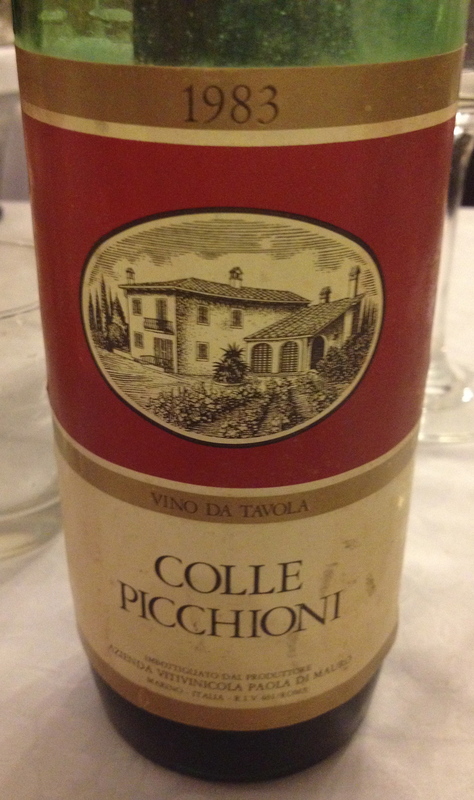 Colle Picchione 1983, Paola di Mauro, made from Cabernet Sauvignon, Cabernet Franc and Merlot. The wine consultant at the time was the legendary Giorgio Grai. The wine consultant today is Riccardo Cotarella. The wines were aged in large oak barrels. I have visited the winery twice and both times drank the 1985 vintage. The 1983 had hints of leather and cherry with a very long finish and great aftertaste. With the wines, we ate artichokes alla Romana, Coda alla Vaccinara, oxtail in tomato celery sauce with pine nuts, raisins and bitter chocolate, Bucatini all’Amatriciana and grilled baby lamb chops. 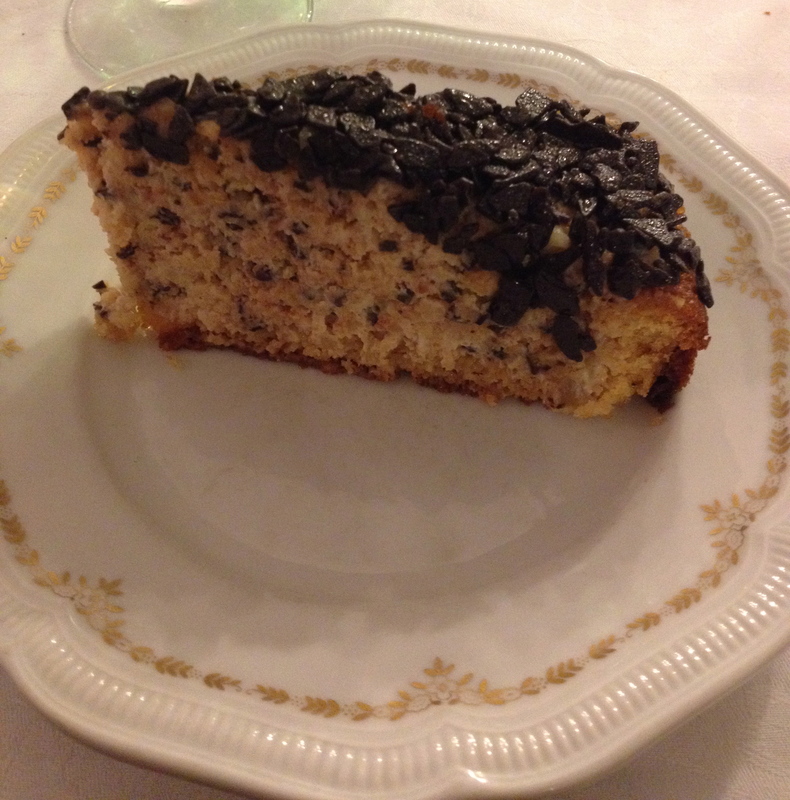 Torta stracciatella, a chocolate chip cake, was served with a glass of di Roscetto Passiro Felesco 2012 IGP Lazio Made from 100% Roscetto. This is a native variety from Lazio. The grapes are air dried in a special room to facilitate the development of Botrytis (noble rot). The wine has nice fruit sensations on the nose, its taste is creamy, full bodied and harmonious with a long lingering finish with honey notes. It was a perfect combination with the torta. Checchino is still a member of L’ Unione di Ristoranti del Buon Ricordo, a group of restaurants that give you a hand painted plate if you order their signature dish or tasting menu. The first time I went to Il Matriciano (39-06-32500364) Via dei Gracchi, 55. The Calasanti family has owned and operated the restaurant since 1912. The present owners, a brother and sister, are always there. Alberto Calasanti is on the floor. He greets the guests and plates the food while his sister sits behind a counter and takes care of the checks. There is a nice outdoor space but of late we like to sit inside, which seems to be favored by the Romans. On Sunday afternoon and at night it is best to make a reservation. 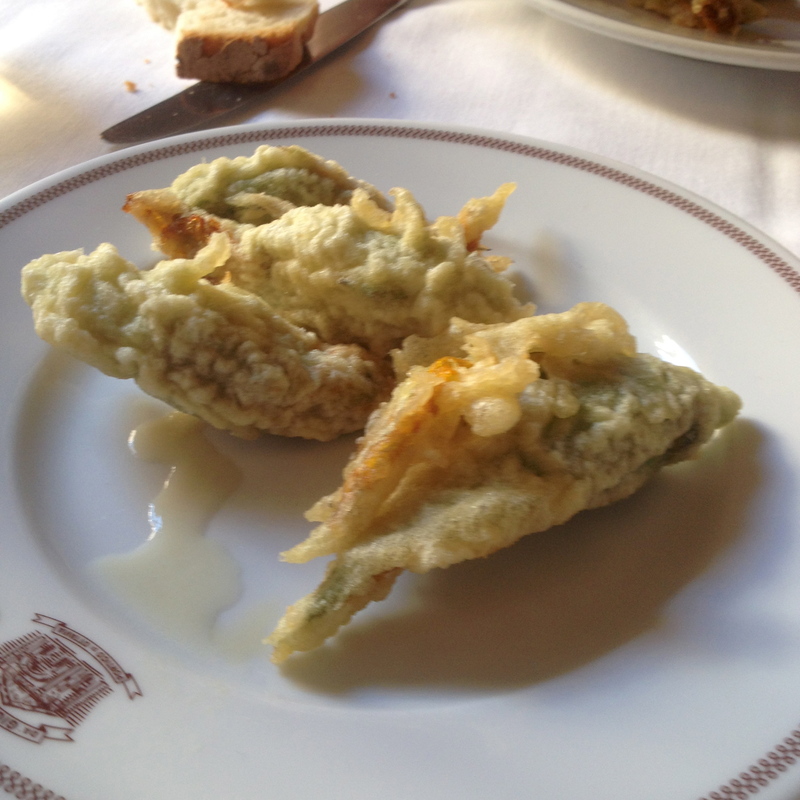 As usual, I ordered zucchini flowers (I cannot get enough of them) and artichokes alla giudia to start. 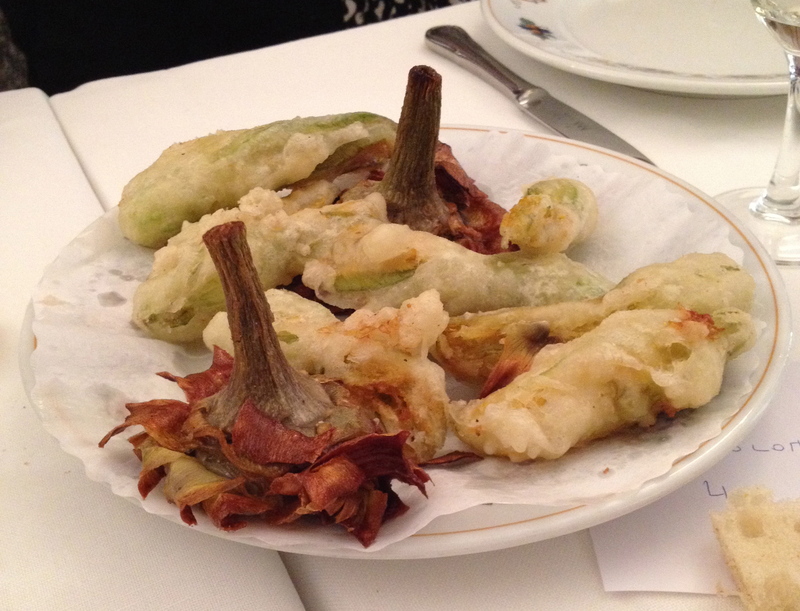 The flowers were perfectly deep fried with a small amount of mozzarella and more than a hint of anchovy stuffing. I ordered the bucatini alla matriciana. 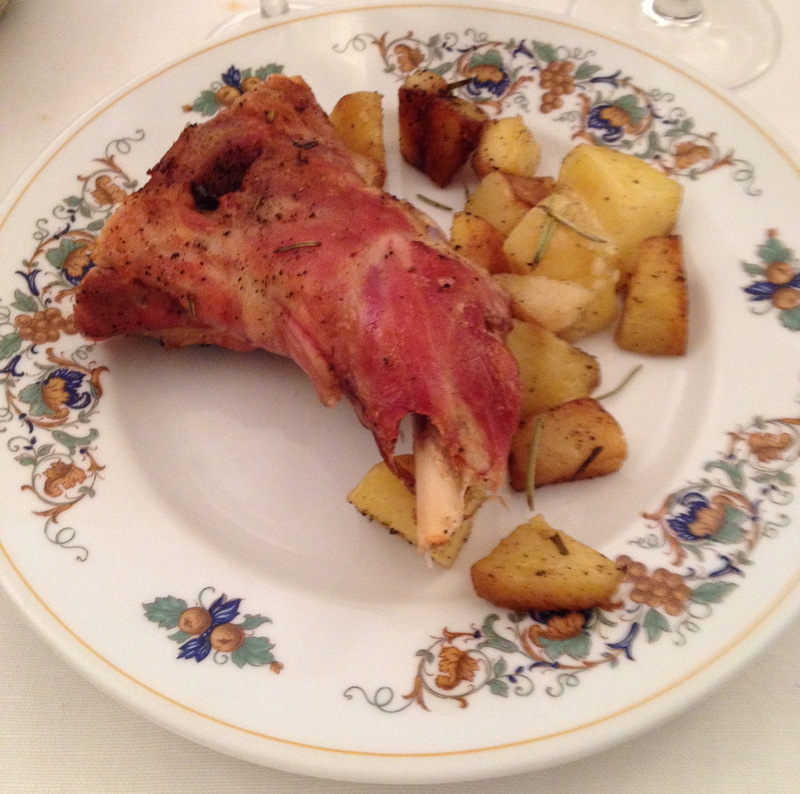 Then I had abbacchio al forno, baby lamb roasted with potatoes and rosemary. It was cooked to perfection, moist with crisp skin. 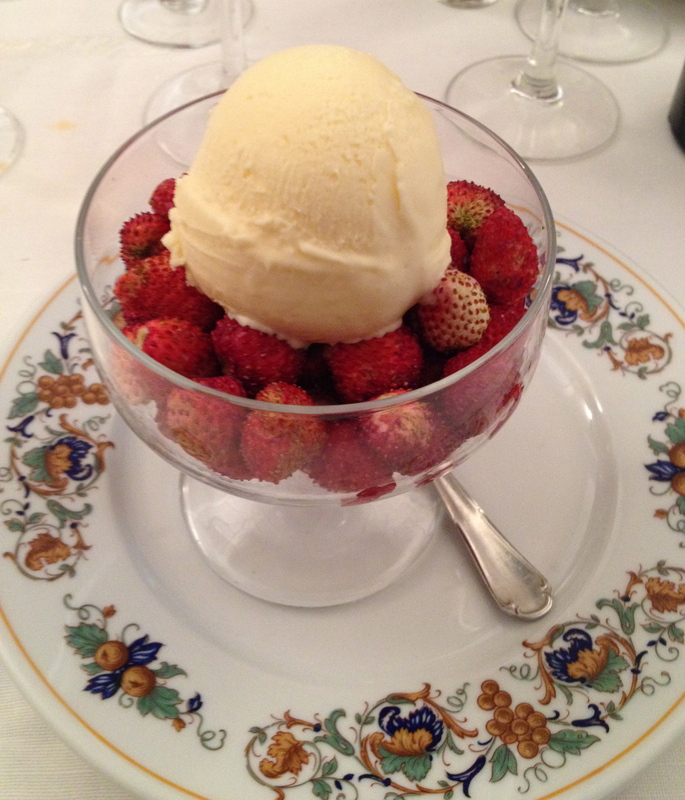 For desert I had tiny fragoline, wild strawberries, and gelato. 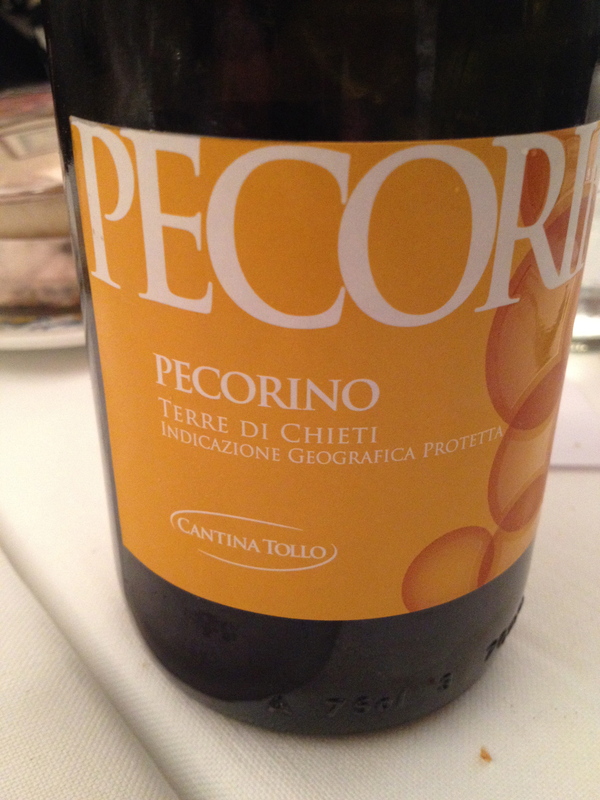 We had a Pecorino 2014 IGP Terre di Chieti Cantina Tollo Abruzzo 100% Pecorino Fermentation takes place in stainless steel tanks at a controlled temperature. Malolatic fermentation does not take place. The wine has hints of white peach, a touch of spice, with good minerality and acidity. Armando al Pantheon can be difficult to get into, so always book ahead. 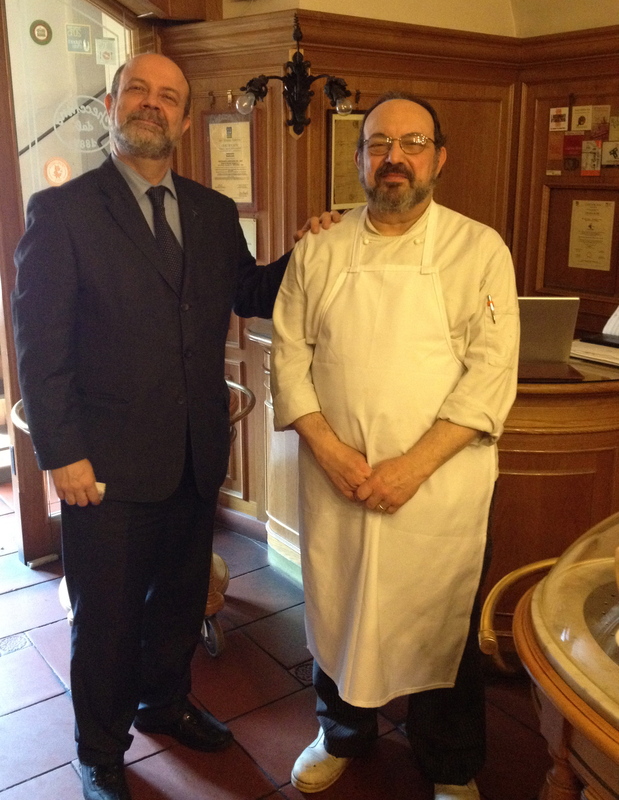 The restaurant was established in 1961 by Armando Gargioli. This time we went there twice, once on our own and another time with friends Ernie and Louise. 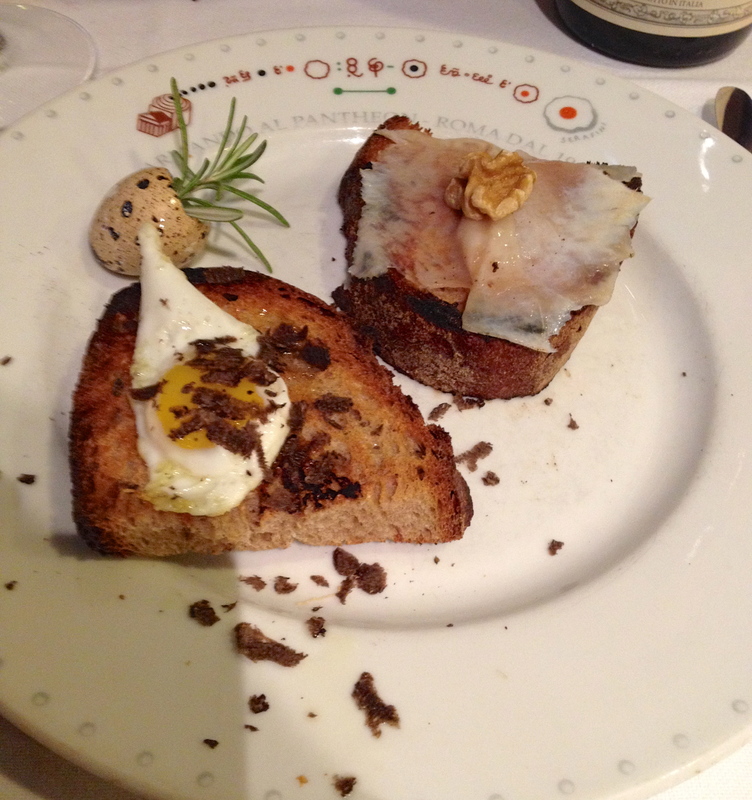 On the first visit I ordered the bruschetta, one with truffle and quail egg and the other with lardo and walnuts. 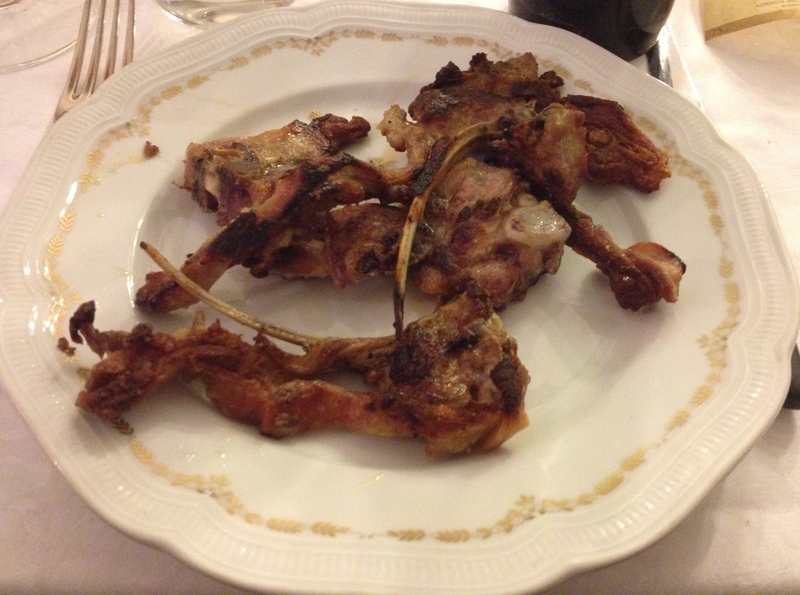 Then I had bucatini alla matriciana and grilled lamb. The dessert was a strawberry crostata with a lattice top. 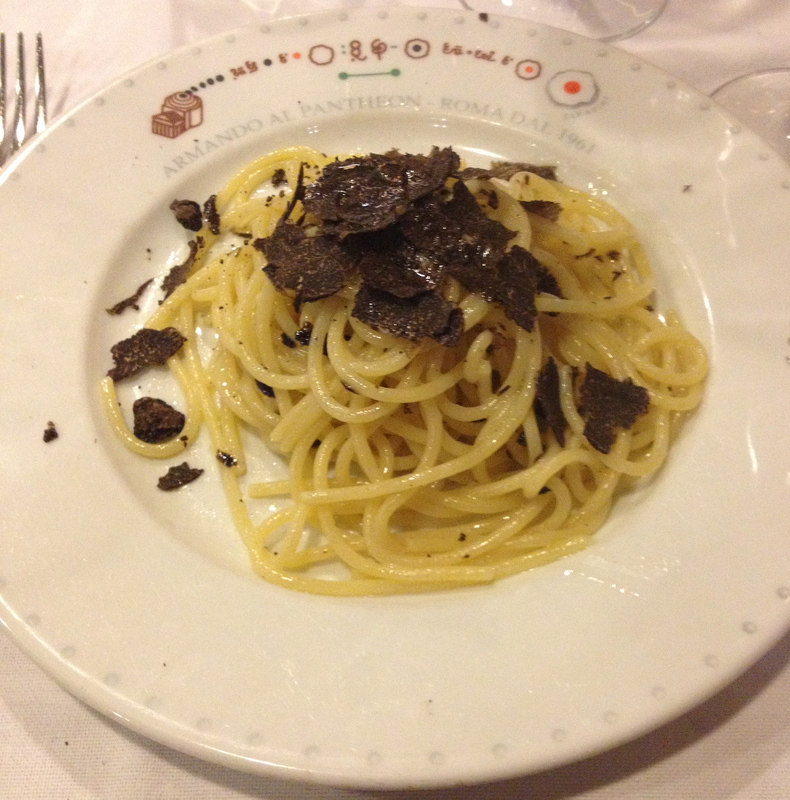 The next time we went, both Michele and I ordered the pasta with black truffles because we remembered how the aroma of the truffles filled the whole room on our previous visit. It was wonderful. Michele also had Roman style chicken with peppers and we ended with their famous dessert, Torta Antica, made with ricotta. 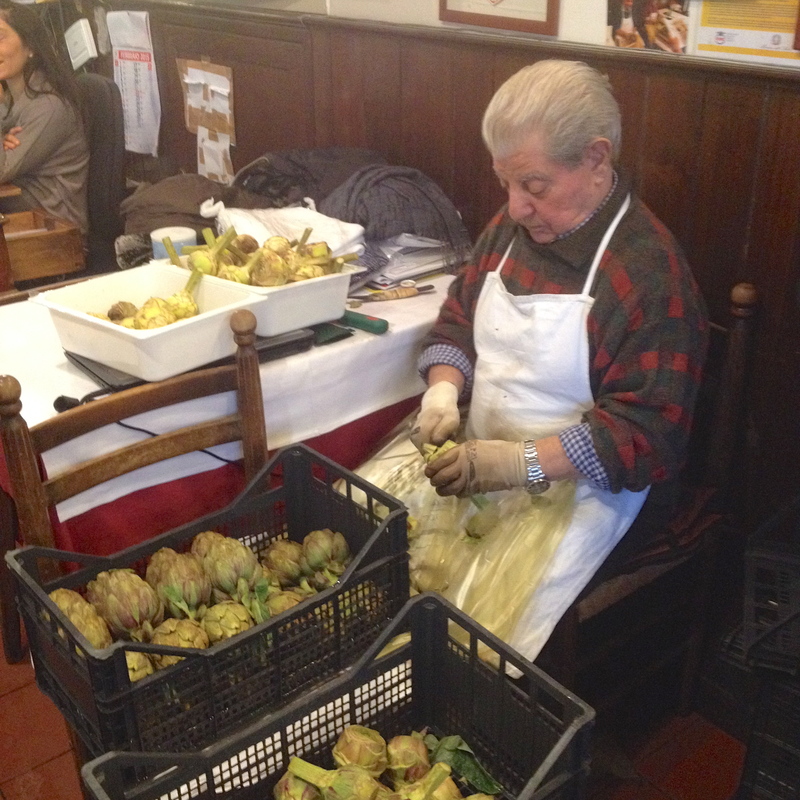 By the way, she says that the artichoke alla Romana here is the best in Rome. Both times we ordered 2011 Montepulciano D’Abruzzo, from Emidio Pepe. 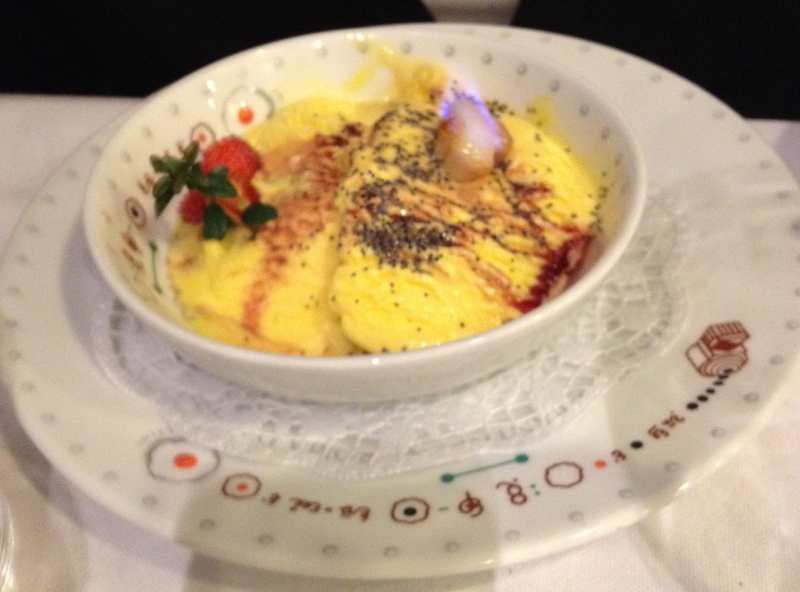 It was less than 40 Euro–a real bargain in a restaurant. The wine was big but with a lot of fruit and not as tannic as I would have expected. Most of my experiences with Pepe’s wines are ones that are 25 years and older. Da Giggetto (39- 066861 105) at Portico D’Ottavia 12 A, in the Jewish ghetto. The Ceccarelli family has owned the restaurant since 1923. We went here twice, once by ourselves and the second time with friends. 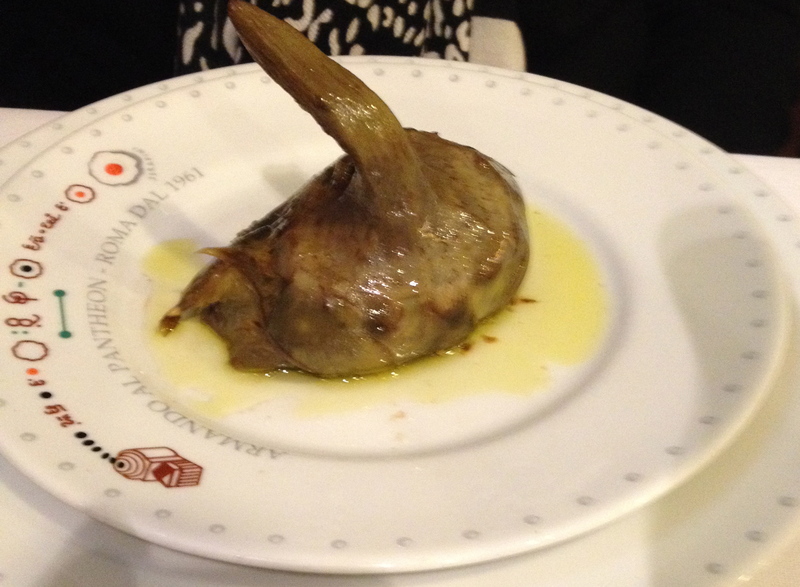 I do not need to look at the menu because I always order the same things: fiori di zucca ripieni con mozzarella e alici (small and crunchy but very good), carciofi alla giudia (fried artichokes) and spaghetti con vongole veraci. 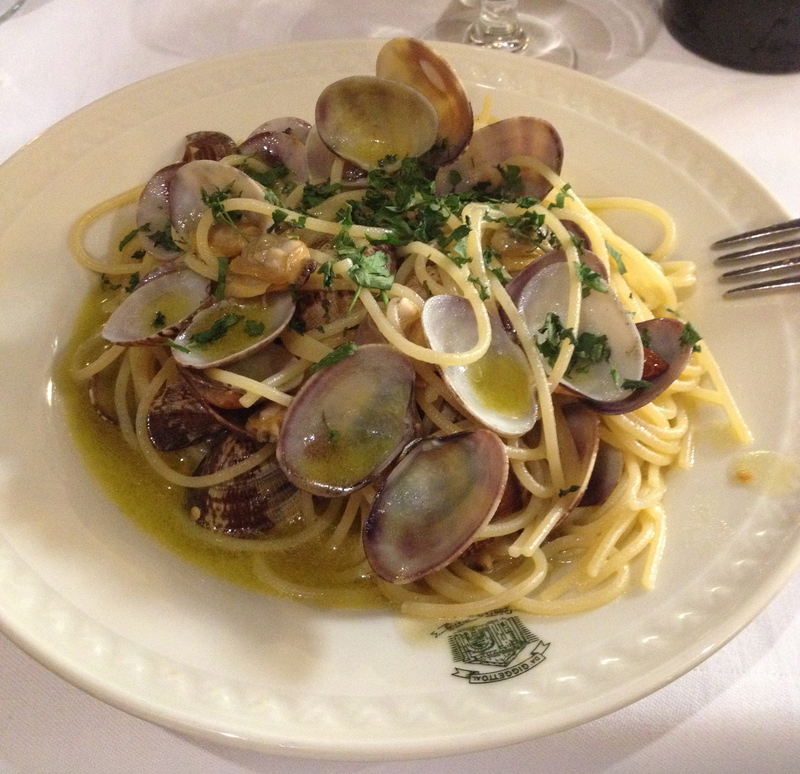 The clams were small and tender with just the right amount of parsley, garlic, olive oil and a hint of hot pepper. But since we went twice I also had the aliciotti fritti, fried anchovies, and the fava beans stewed with guanciale. 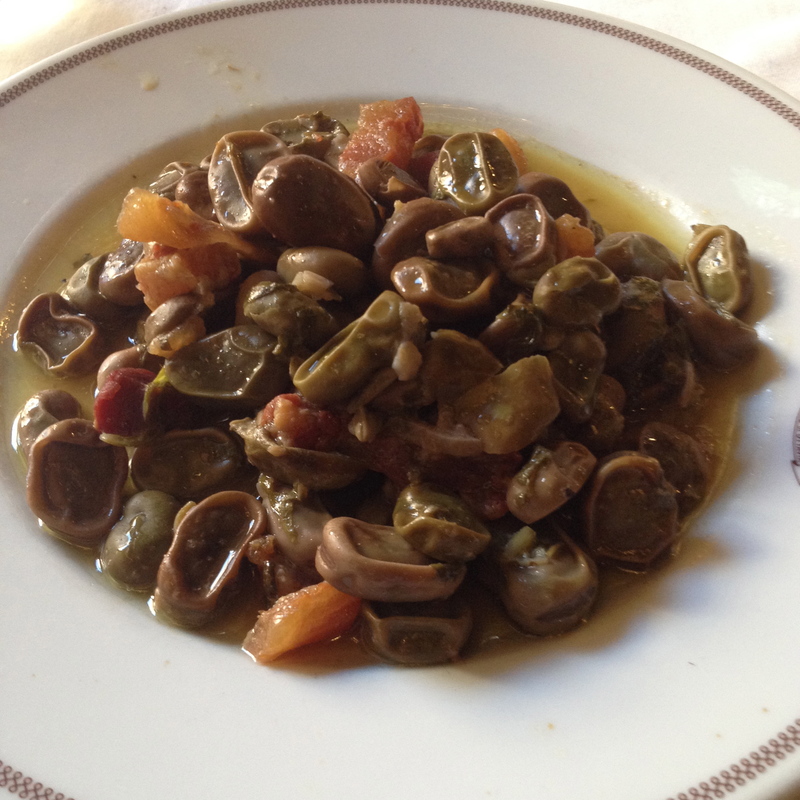 Michele also had fava beans with guanciale. We have been going here for many years and have never been disappointed. 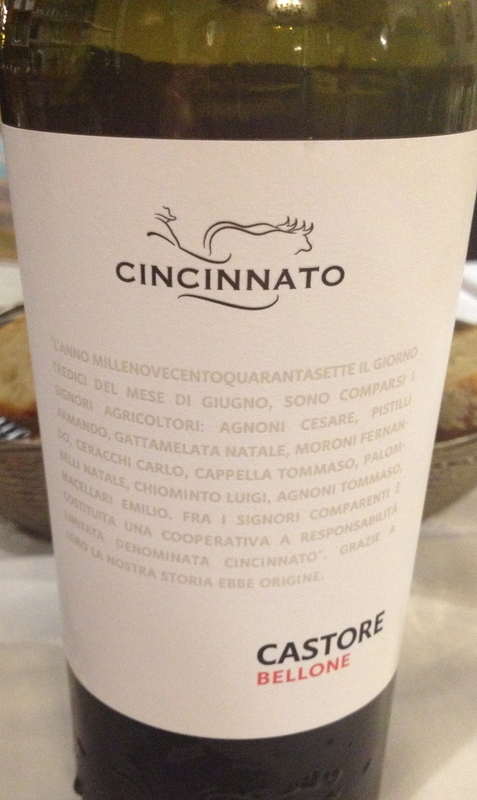 We had the Bellone 2013 IGT Lazio “Castore,” I00% Bellone, Cincinnato. The Bellone grape may go back to ancient Roman times and is now grown mostly in vineyards around Rome. This is a fresh, fruity, easy to drink white wine that worked very well with the starters. 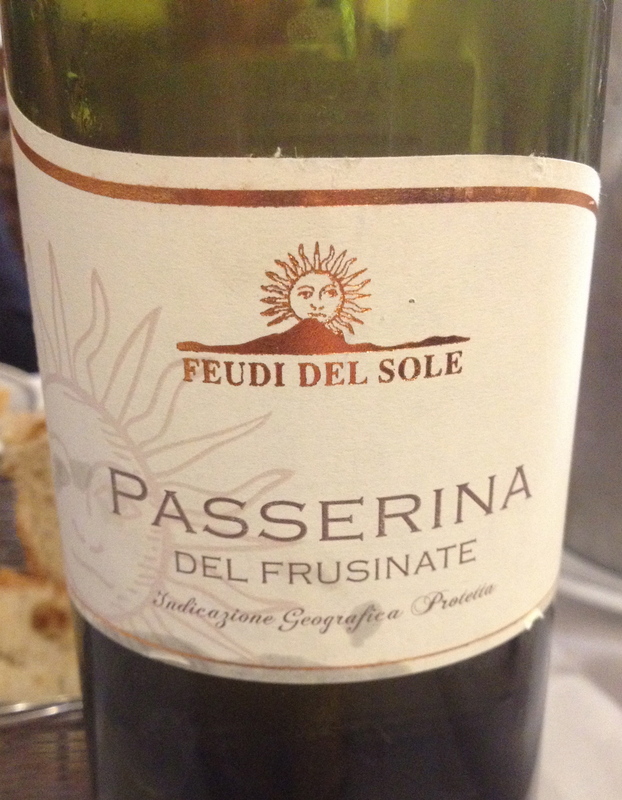 We also drank a Passerina Del Frusinate 2013 from Feudi Del Sole 100% Passerina. The winery is located a few kilometers from Rome in the Castelli Romani. It is a wine with hints of apples and white preachers, good acidity and a long finish and nice aftertaste.